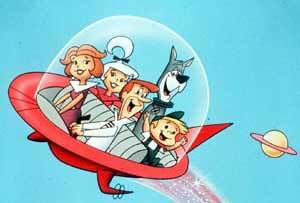 As a child, I watched The Jetsons, that futuristic family with a robot maid named Rosie, an oven that instantly produced a fully cooked dinner on demand, and an automated flying car that often saved George from his own absent-mindedness. Rosie and the oven were nice conveniences, but the flying car kept the Jetsons safer. Today, years later, I’m in Michigan touring the proving grounds of the Big Three automakers and other manufacturers in the automotive world. I am seeing firsthand the technology that may bring us closer to the Jetsons’ flying car and help make driving safer. Things like adaptive cruise control, collision warning systems, blind spot detection, and lane departure warning systems can alert drivers to dangers they do not recognize. Some technologies, such as active braking and ESC, can even help compensate for a driver’s inability to identify stopped traffic ahead or negotiate a sharp curve while moving too fast, which can lead to a deadly rollover. The automotive industry has made many advances in passenger vehicle safety. Especially encouraging is the fact that some of the technology is also being tested on large trucks, buses, and other commercial vehicles. Too often, the NTSB investigates accidents in which these technologies, if installed on large trucks, could have prevented a tragedy on the highway. Just like George Jetson, we will all make mistakes. While new automotive technologies are designed to assist the driver, rather than replace the driver, if they are widely deployed across the fleet, they have the potential to drive down the number of fatalities on our highways by bridging the gap between the human, the environment, and the machine. Last week, the NTSB sent a team of investigators to Atlanta to investigate a Delta Air Lines Boeing 757 that experienced an engine fire shortly after take-off. The captain, who noticed the problem just as the airplane climbed past 3,000 feet, made a successful single-engine landing and the 170 passengers evacuated via the airplane’s emergency slides. Most people associate the NTSB with catastrophic plane crashes—ones where numerous people are killed and the aircraft is destroyed. Photos of our investigators at accident scenes that are referred to as “smoking holes” are becoming rare when it comes to commercial operations Fortunately, the event in Atlanta last week was far from a tragic scenario. In fact, when the evacuation was completed, there were only three minor injuries. So, why did NTSB send a team to Atlanta? Commercial carriers must report to the NTSB any uncontained failures or fires like this one. Our investigators want to find out what happened with that engine so that in the future, they won’t have to investigate the same kind of failure resulting in a smoking hole. Right now, we have no idea what we will find. The engine fire may have been the consequence of a design flaw, a manufacturing glitch, or a maintenance discrepancy that could occur again. And, another occurrence may not end as well. Our investigators routinely investigate these kinds of events. Right now, we are investigating why an Airbus 320 experienced an electrical failure in the cockpit right after take-off from New Orleans in April. 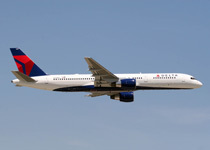 We are also looking at a Boeing 757 that ran off the runway in Jackson Hole last December. Neither of these events resulted in fatalities or catastrophic aircraft damage, but they still have a very important safety story to tell. These investigations are the best ones we do, because they keep us from being called to another smoking hole. This week we were proud to welcome renowned author and aviation commentator John J. Nance to Washington as part of our NTSB Speakers Series. 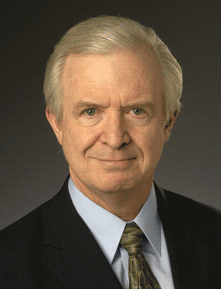 Millions of Americans instantly recognize Mr. Nance through his role as an aviation analyst for ABC News and Good Morning America. In his role as a bestselling author, however, Mr. Nance has also built a longstanding relationship with the NTSB, researching many aviation disasters using NTSB investigative reports and statistics. In his lecture, Mr. Nance touched on the roots of the NTSB as an independent federal agency – an independence, he argued, that was critical to furthering key aviation safety concepts, such as crew resource management. According to Mr. Nance, many of these concepts are now finding application in other industries – most notably, healthcare. With his wife, Kathleen Bartholomew, a registered nurse, Mr. Nance lectures around the country on how hospitals and healthcare providers can improve patient service by adopting many of the very safety systems pioneered by the aviation industry. Mr. Nance painted a fascinating picture of how far our system of air travel has come in recent decades, and the significant role that the NTSB has played in advancing its safety. 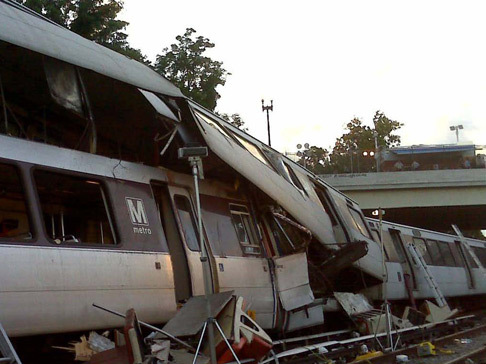 Two years ago today, nine people lost their lives when two Washington, DC, Metro trains collided. In our accident report issued a year after the crash, the NTSB cited the failure of track circuit as the probable cause of the accident. But just as troubling as that failure was, our investigation also revealed a systemic breakdown of safety management at all levels at Metro. Safety management is essential in transportation organizations. A robust safety management system, or SMS, helps organizations identify deficiencies and address them before they result in an accident. In addition, the discipline and standardization of an SMS sets the stage for a positive safety culture, in which employees are encouraged, even rewarded, for providing essential safety-related information. Such a safety culture would have made a huge difference at Metro. Today is the anniversary of a very sad day for those who lost family and friends in the accident near Fort Totten and it reminds us that we cannot forget the lessons learned in the aftermath of that tragedy. Although more work needs to be done, General Manager Richard Sarles and the new Metro Board of Directors have committed to implementing all of the NTSB’s recommendations. We look forward to the day when that happens. Electronic devices don't belong behind the wheel. Today, the NTSB held a public meeting about an accident last year in Philadelphia when a tugboat/barge combination collided with a sightseeing duck boat. Two Hungarian foreign exchange students died because a distracted operator was on his cell phone and using a laptop when he should have been focused on navigating the vessel. Those young people are not the first who have died because someone was distracted. Sadly, they will not be the last. What is it going to take — how many of our friends, neighbors, and loved ones have to die – before this country wakes up to the very real risk of distractions, particularly those associated with personal electronic devices? How do we as a country change this mindset? Today’s electronic age has made people accustomed to being connected 24/7. We don’t know what it is like to be unavailable or turned “off” anymore. But we must find a way to change this paradigm when it comes to transportation because, frankly, the distractions are only going to get worse. We have reached the point where it’s time for society to frown upon texting, cell phone use, and similar distractions at the wheel/helm/controls and convey that this behavior is just as unacceptable as driving under the influence. Today, June 20, is Ride to Work Day for motorcyclists. This is the day that motorcycle riders across the country showcase the many benefits and pleasures of commuting on motorcyclists. On the Ride to Work website there’s a video that Congresswoman Gabrielle Giffords, member of the Congressional Motorcycle Safety Caucus, made several years ago about Ride to Work day. A biker, she talks about the fuel efficiency of motorcycles, the importance of being aware of vehicles on the road, and she says that motorcyclists should wear “proper motorcycle-specific safety gear.” That gear includes DOT-compliant helmets, which, as I have said before, and will say again: Save lives. Enjoy your commute and be sure to enjoy it safely with a helmet. Last week, I visited Google’s headquarters in Mountain View, Calif., to see Google’s self-driving car. This is one of those things where you really do have to see it to believe it. The autonomous car sees much more than the driver can — thanks to 360-degree perception (no more blind spots!). Better still, the automated algorithmic driver never gets sleepy, distracted, or drunk. 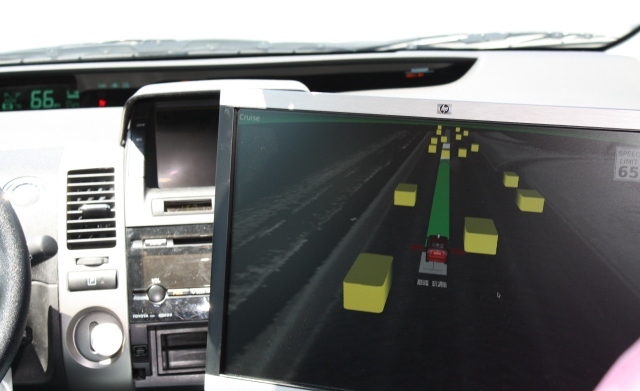 Google is working on this project to make driving safer, more efficient, and more pleasurable. I saw for myself as the car negotiated Bayshore Freeway — how it was able to avoid other vehicles, how it slowed and sped up with the flow of traffic, and how, when necessary, it turned control of the vehicle to the human driver. It was quite amazing. Earlier this week, however, I saw what transportation can look like today at the 22nd Enhanced Safety of Vehicles Conference. I appreciated NHTSA Administrator Strickland’s invitation to talk about the NTSB’s recommendations regarding how technology can improve safety in commercial vehicles. The NTSB has investigated a number of fatal crashes involving buses and heavy trucks that could have been prevented with the use of forward-collision warning systems or electronic stability control. While NHTSA and the automobile manufacturers have done a great deal to improve safety in our personal vehicles, it is sad, but true, that my six-year-old mini-van has more safety technology than most commercial vehicles on our roads today. These are safety improvements that are currently available. I will continue watching Google to see what is possible in the car of tomorrow, but we do not have to wait for the self-driving car to save lives on our roads. We can do that now by moving forward with off-the-shelf technology in the largest and heaviest vehicles on the road.